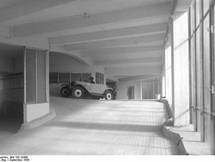 The Gosplan garage is located on the outskirts of Moscow and is the last realised project by Konstantin Melnikov. 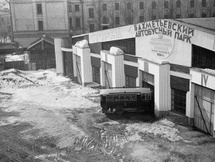 The architectural structure and style of this garage is closer to futurism than to the those of avant-garde and constructivism. 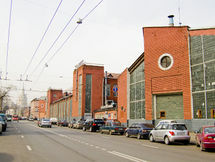 The centre of the one-storey garage is formed by a..
Novoryazanskaya Street Garage, also spelled Novo-Ryazanskaya Street Garage, and known as "Horseshoe garage", was designed by Konstantin Melnikov and Vladimir Shukhov (structural engineering) in 1926 and completed in 1929 at 27, Novoryazanskaya Street in Krasnoselsky District, Moscow, Russia, near..
Intourist Garage is a multi-storied building at 33 Suschevsky Val in Moscow, it was built by Konstantin Melnikov in co-operation with the architect V.I.Kurochkin. 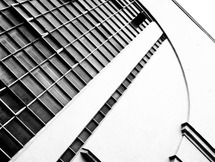 Today only the facade of this garage still exists, however it is this geometrical facade that the building is known for. 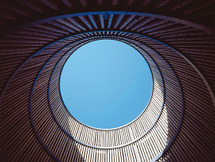 The Parking des Machines is a multi-storey car park in Nantes, France designed by the architects Bernard et Clotilde Barto. 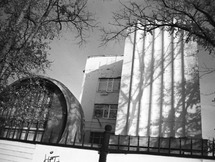 The car park is named after the neighbouring site, the "Machines de l'Ile", where groups of engineers are constructing larger-than-life moving machines in the former halls..
With around 1.3 million visitors per year, the Leipzig zoo is one of the favorite animal parks in Germany. 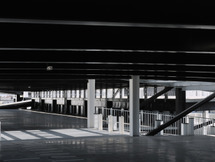 In order to provide the zoo's visitors with enough parking, a competition was held in 2002 for the design of a parking garage with an attractive as well as economical design concept. 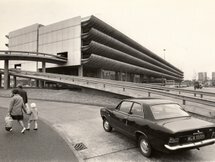 The..
Preston Bus Station is the central bus terminus in the city of Preston in Lancashire, England. Built in the Brutalist architectural style between 1968 and 1969, designed by Keith Ingham and Charles Wilson of Building Design Partnership with E. H. Stazicker, it has a capacity of 80 double-decker.. 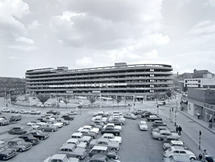 The Charles Street car park acts as a large lantern at an urban scale. 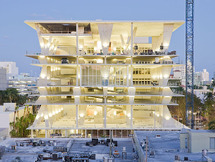 It contains 520 parking spaces over ten floors with retail space at ground level. 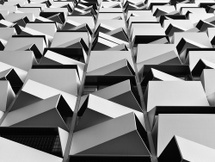 The abstract and animated surface of its facade is composed of identical angled panels that are rotated randomly in four orientations. Each..